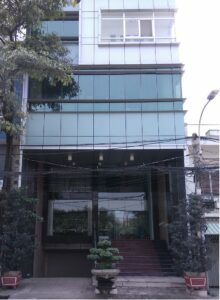 January 2017, MeU Solutions is proud to announce they have opened a new office located at Center of Saigon City. This new office is a result of continued business growth and an increase in associated professional staff. It’s bright and cozy, but the best thing about the office is that it’s right in Center of the city. This makes super easy to get out and host clients. It saves their time to commute to work in current traffic conditions at Saigon. The new office is designed in style of Open-Space to facilitate and trigger innovations from their employees. With the capacity of 100 engineers at max and dedication; MeU Solutions is actually to prepare for the growth in 2017. Mr. Willy Tran –Managing Director – said that “We want to build an office not only for work but it’s a place to call home for our engineers. At here, we have no cubicle walls that are the barrier of communication”. In their long-term strategy, MeU Solutions runs its business in the model of small & dedicated units where each client owns one or two of their dedicated office units with their different demands. MeU Solutions believes that this model will bring their clients the ease of managing their teams and more secure.